CALGARY – A decision to cancel approval for Enbridge’s Northern Gateway pipeline has implications for a wide range of other energy projects, such as Kinder Morgan’s TransMountain project and the Energy East initiative. The Federal Court of Appeal on Thursday overturned the previous Conservative government’s approval of the Enbridge Inc. pipeline, saying there was a lack of consultation with First Nations. It’s up to the Liberal government to now decide if it should be built. Lawyers said other companies looking to build energy infrastructure should take note. In a scathing decision, the court found that Ottawa did not meaningfully consult with aboriginal groups in northern British Columbia after the National Energy Board published a preliminary list of conditions for the Northern Gateway pipeline. “The inadequacies – more than just a handful and more than mere imperfections – left entire subjects of central interest to the affected First Nations, sometimes subjects affecting their subsistence and well-being, entirely ignored,” Justices Eleanor Dawson and David Stratas wrote in their decision. “It would have taken Canada little time and little organizational effort to engage in meaningful dialogue on these and other subjects of prime importance to Aboriginal peoples. But this did not happen,” they wrote. The decision now requires the federal government to “promptly” go out and consult with affected groups once again before it issues a new decision on whether Enbridge is allowed to build the pipeline between Alberta and the West Coast. Natural Resources Minister Jim Carr said in an email that the government is taking time to determine its next steps. The Northern Gateway project was first approved, subject to more than 200 conditions, in 2014 under the previous Conservative government. Construction has not begun, however, due to multiple legal challenges. In recent months, Enbridge has applied for a three-year extension for the project so it can carry out more consultations with First Nations along the route with the intention of getting more groups to support the project. Following the appeals court ruling, Northern Gateway president John Carruthers said in a release that the company would consult with the aboriginal groups that have signed on and support the $7.9-billion project before it determines what to do next. Enbridge has the option of asking the Supreme Court of Canada to hear an appeal of the decision – though the decision takes issue primarily with the government’s consultation with First Nations rather than Enbridge’s consultation. Lawyers said the federal government would have to review how it consults with aboriginal groups during pipeline reviews, especially after preliminary conditions are released during a process known in legal circles as “phase four” of a five-phase consultative process. JFK Law Corp. associate Elin Sigurdson, who was part of the team acting for the Gitxaala Nation on the case, said the federal government “is going to have to take a lot of guidance from this decision” for carrying out future consultation on pipeline projects. “That’s applicable to Kinder Morgan, that’s applicable to other projects that are either being planned or investigated,” she said. “The decision confirms what we have known all along – the federal government’s consultation on this project fell well short of the mark,” Nadleh Whut’en First Nation chief Larry Nooski said in a release. The ruling also puts the pipeline’s fate in the hands of a new government, which vocally opposed the project during last year’s federal election. “The Liberals ran on a platform of rejecting this pipeline and we intend to hold them to that promise,” said Sven Biggs, a campaigner with Stand – an organization previously called ForestEthics. ForestEthics was one of the complainants in the case. “Either when they come to reconsider this decision by the court or whether it’s through the North Coast tanker ban, the Liberals will find a way to stop this project,” Biggs said. THE CANADIAN PRESS/HO, Teck ResourcesA truck hauls a load at Teck Resources Coal Mountain operation near Sparwood, B.C. The good news is that the start line for the first social impact bond to be developed in Ontario and brought to the market is within sight. And when the line appears, investors will be able to purchase a fixed income security that combines a financial return plus a social return – provided, of course that positive measurable outcomes are achieved. “Money is at risk, given that returns are based on outcomes,” said Susan Manwaring, a partner at Miller Thomson whose practice is advising organizations in the social and community sector. Manwaring, who has been on panels that have advised governments on social impact investing, added there is a potential upside: more resources may be put into areas or projects where it can be shown the outcomes are positive. Manwaring’s firm worked on the country’s first social impact bond launched in 2014 by the Saskatoon Downtown Youth Centre. With $1 million provided by a financial institution, Conexus Credit Union, and the husband and wife team of Wally and Colleen Mah, the investment was earmarked for at-risk single mothers. The mothers and their children were supported by the service provider, which allowed the mothers complete their education and secure employment. If those objectives are achieved, the government funds the provider, which in turn repays the investors. One-year back 14 mothers and 20 children were in the program that is known as the Sweet Dreams project. The provincial government estimated that the savings would be $0.5 million – $1.5 million over five years. This year construction started on a child-care facility at the centre. The provincial government has spent considerable time researching the topic. Mainstay: This service provider wants to sell bonds to “provide stable housing and intensive support to 100 chronically homeless individuals,” specifically those who have been homeless for at least five years. Ontario said this week that a “series of milestones” remain on the path to implementing the two pilot projects. Those milestones include “completing investor market sounding” to gain market insight on investor interest as well as testing the two frontrunner projects. The National Highway Traffic Safety Administration is about to take a closer look at Tesla’s Autopilot, the company revealed on Thursday. In a blog post, Tesla says that it learned on Wednesday evening that the NHTSA is “opening a preliminary evaluation into the performance of Autopilot” following a fatal crash involving a Model S.
The incident, which happened in May, involved a white tractor-trailer that was turning left across a divided highway, perpendicular to the path of the Tesla, which was cruising on Autopilot. “Neither Autopilot nor the driver noticed the white side of the tractor trailer against a brightly lit sky, so the brake was not applied. The high ride height of the trailer combined with its positioning across the road and the extremely rare circumstances of the impact caused the Model S to pass under the trailer, with the bottom of the trailer impacting the windshield of the Model S,” Tesla stated. The company also stated that in a front-on or rear-end collision with the tractor-trailer, the outcome would not have ended in tragedy. It described the driver as “a friend to Tesla and the broader EV community” and expressed sympathy for his friends and family for their loss. WASHINGTON (Reuters) – The Republican-controlled U.S. House of Representatives, under mounting pressure to advance gun-control legislation, will vote next week on a measure to keep guns out of the hands of people on government terrorism watch lists. 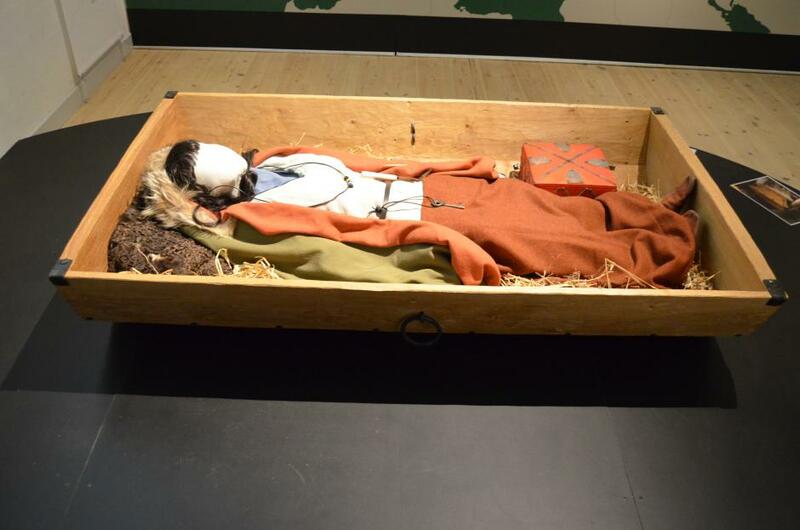 From the Silkeborg Museum, this is a recreation of the high-status woman’s grave found in a Viking “death house” in Denmark. Construction of a new highway in Hårup, southwest Denmark, has unearthed farms and houses from the Middle Ages, including a rare Viking dødehus or “death house” dated to 950 C.E., packed with grave goods that reveal a lot about the three people buried within it. The death house was a common form of Viking tomb, but the Hårup death house has a very unusual design. It appears to have been inspired by early stave churches of Western Europe, with large wooden posts holding up heavy roof beams. Inside, archaeologists found other international influences. A ceramic vase came from the Baltic and two silver coins hail from the region now known as Afghanistan. These discoveries are testimony to how far Vikings traveled and how extensive their trade networks were. The tomb itself is fairly roomy at 13 x 43 feet and was initially the resting place of a wealthy couple. Later, a third grave was added for another man. Though little remains of the bodies themselves, a few strands of the woman’s black hair stood the test of time, as did the two keys she wore around her neck. The larger of these keys would have symbolized that she was the lady of a great house, and the other unlocked an unusual shrine. She was buried in a small wooden wagon, an honor also reserved only for noblewomen. At the woman’s feet was the shrine, full of golden thread (probably used in fabric), fur, glass beads, and fine wool. Her husband was also buried in high style, with a massive Dane Axe, popular among high status men and seriously destructive on the battlefield. The third man, possibly the couple’s heir, was buried with a slightly smaller Dane Axe. The Silkeborg Museum made a 3D rendering of the dødehus site, which gives you an idea of the size of the excavation. Nearly everyone knows you’re supposed to eat heaping helpings of fruits and vegetables every day. But that doesn’t mean that people actually follow through. In fact, in updated dietary guidelines released in January, the federal government called out nearly everyone for not eating enough produce (as well as eating way too much sugar). But now, researchers have followed up with what may be a simple fix. In grocery stores, big emojis and arrows on the floor that direct and encourage people to head to the produce section actually got shoppers to buy more produce, researchers report Thursday in the Journal of Nutrition Education and Behavior. Moreover, after analyzing grocery bills, the researchers found that shoppers didn’t up their overall shopping budget to accommodate the fresh additions. In other words, grocery store goers weren’t simply piling on crops to their already full carts, but, rather, they were swapping other grocery items for healthy fruits and vegetables. The findings suggest that adding the minor signage to more stores could be an easy way to get consumers to eat healthier produce. And if so, it “could trigger a public health shift” in a general population that is largely struggling with weight and dietary problems, lead author Collin Payne, of New Mexico State University, said in a statement. WASHINGTON (Reuters) – Seven U.S. senators urged Secretary of State John Kerry on Thursday to press Bahrain’s government to do more to promote political and social reform, adding to recent concern in Washington over that country’s human rights record.